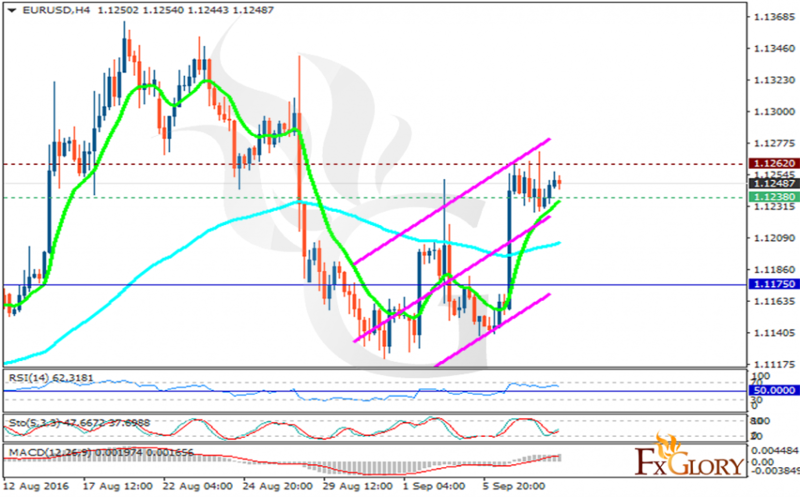 After the sudden growth, EURUSD is fluctuating within the support and resistance area. The support rests at 1.12380 with resistance at 1.12620 which both lines are above the weekly pivot point at 1.11750. The EMA of 10 is moving with bullish bias and it has already crossed the EMA of 100. The RSI is moving horizontally in overbought area, the Stochastic is showing upward momentum and the MACD indicator is in positive territory heading up. The chart seems bullish at the moment, buyers can target 1.1270.